Axicom was acquired from its American parent by a market leading merchant bank, in order to create a standalone business. It was the country’s largest operator of wireless towers, connecting millions of Australians to their wireless world. Long term customer contracts were a strong asset, but insulated the business from the short term winds of disruption in most markets. Internally, disruption started early. The incumbent CEO led a respected leadership team but announced his retirement soon after the engagement started. TAP took the unusual step to engage directly with the Board of Directors, while the CEO search took place. Operationally, it was business as usual. Day to day customer satisfaction was high, but strategic customer engagement was a challenge. The strategy development process was underdeveloped. The leadership team tolerated poor performance and the current structure was inefficient. Staff had lost a sense of identity following the acquisition. Leaders were functionally very competent, but agreed they worked in silos. Leadership meetings were unstructured and informal. There were two distinct phases of the engagement. The first phase, prior to a new CEO occupying the chair, was focused on developing and implementing the leadership disciplines required by the new owners. Together, we built a simple one page strategy and story of the future, which was communicated to the whole organisation. Team plans for each business function were put in place and individual scorecards were developed for each leader, creating a direct line of sight between strategic priorities and leadership accountability. Team feedback processes were introduced to improve transparency and goal alignment. Work on simplifying the performance system started as a first step towards a high performance culture. The second phase began when the new CEO arrived. He recognised the sound methodology in place which worked and he valued. This allowed us to focus collectively on the bigger gaps that remained. The CEO, with TAP support, set up the next wave of change. He reinvigorated the work on values and standards to ‘dial-up’ accountability and collaboration. A long term strategy was successfully presented to the Board. The Plan on a Page, team plans, leadership scorecards and the incentive system were integrated into a single coherent management system. An organizational restructure was undertaken. Meetings were reviewed and improved. The CEO personally focused on the customer engagement challenges. The new HR Director finalised the strategy to develop a high-performance culture. The CEO embraced the Leadership Impact process to accelerate team effectiveness and brought a high level of personal transparency and authenticity to the process. An expanded Senior Leadership Team (SLT) was set up to extract more value from key leaders and build better bench strength as a pathway to future business success. The work on strategy and story created high levels of clarity and engagement with all staff. The integrated approach between Plan on a Page, team plans and leadership scorecards created aligned goals across all individuals and teams. The organisation restructure was executed brilliantly with no disruption to the business or customers. Transparency and trust in the Leadership team improved significantly. Meeting practices improved measurably. Leaders embraced difficult conversations about the customer engagement challenges that would not have happened in the past. The CEO reinvigorated Axicom’s approach to customer engagement. The HR Director achieved significant improvements from the performance system and the role of leaders in managing performance. Board members recognised a significant increase in impact and effectiveness in their interactions with the Leadership Team. 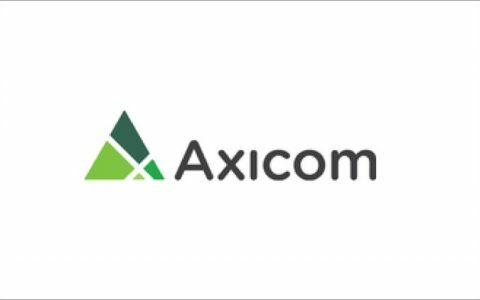 As the engagement ended, the CEO, HR Director and TAP put in place the internal capability required to maintain Axicom’s positive trajectory in the year’s ahead.